Anima Mundi are a symphonic prog band from Cuba, though if you search for them on iTunes, you'll find another band of more experimental and eclectic sounds with the same name. The Cuban band has been around since the mid-nineties and released four studio albums, the first in Spanish and the others in English. In an interview I read with keyboardist Virginia Peraza, she explained the great difficulties facing a band from Cuba: recording studios not being on par with those in more advanced countries, equipment often being bought second or third hand, and restrictions on what foreign music is permitted in the country. 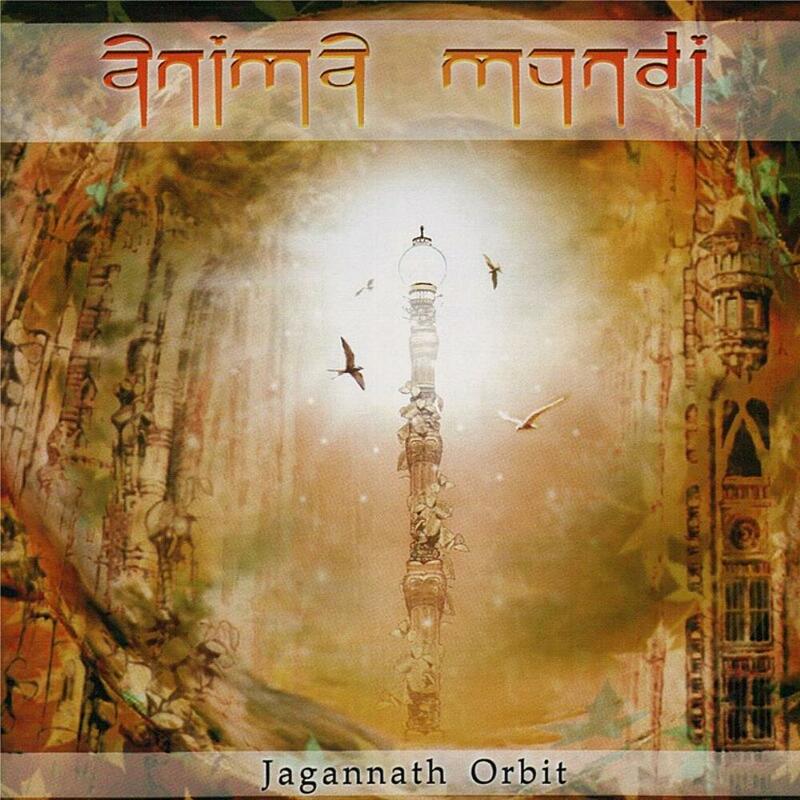 If I recall correctly, it was after this album, "Jagannath Orbit" that a Russian label picked up the band and they got a lot of promotion in Europe and went over to play in some music festivals. From then on, the band's fortunes changed as their music became better known internationally. According to song writer and band leader Roberto Diaz, the band wanted to play music like the grand symphonic prog bands of the seventies but also have a strong spiritual message in their music. The name Anima Mundi comes from a concept by Plato and means Spirit of the World. True enough, their music is similar to what Jon Anderson- led Yes could produce but somehow even grander and more uplifting. The Wikipedia article on the band describes their music as a combination of, "symphonic rock, new age, Celtic, space music and traditional Cuban influences". That's a very accurate description of "Jagannath Orbit" to be sure. The band really covers all bases with grand symphonic prog passages, atmospheric and spacey moments, lively rocking parts, and one or two world music segments. You can't miss the didgeridoo in "Rhythm of the Spheres". For a band who hail from a relatively poor country, their guitar and keyboard sounds fill all the expected sounds for a major prog band. Peraza's sound pallette includes a variety of synthesizer sounds, piano, organ, and Mellotron. Diaz's vocals suit the spiritual and optimistic lyrics very well, not an Anderson copy but he could have been a good choice as a Glass Hammer vocalist. In fact, though Yes and Glass Hammer comparisons are easy to make, I don't feel that Anima Mundi are trying to emulate those bands. The guitars, bass, and keyboards are in the style of those bands; however, I never feel that I'm listening to a Steve Howe or Chris Squire clone, unlike say Cathedral. Anima Mundi have captured the essence of a spiritually inspired symphonic prog band and managed to sound most like themselves. If you like big, bold, and grandiose symphonic prog with some laid back atmospheric moments, Anima Mundi are worth looking into. They do the job very well, at least on this album and from what I've heard on the next album "The Way". They do long, multi-part songs very well, never relying on any one particular musical theme to carry the song for long. This is busy and excited music but doesn't sound like a medley either where transitions come every 12 bars for the sake of complexity. There's a sincerity to the busy-ness, a band excited about writing music like this in order to express themselves. For my personal opinion, an entire album of this grand, spiritual, uplifting symphonic prog is a little too much. If you've ever felt that a Glass Hammer album simply exudes to the point of oozing a Christian message then this album has the same effect except without being specifically Christian. This is Jon Anderson territory for sure. Check out the song titles: "We Are the Light", "The Awaken Dreamer in the Soul Garden Dreams the Flower Planets", "Jagannath Orbit (in the Orbit of Love)". This is loose-fitting tunics and linen pants, barefoot and beads music. And that's where I find the album a little too much to take all at once. Each of the songs, long and short, are good and wonderful on their own. But all together in one sitting can make me tune out or hunger for something a little darker or more aggressive. Still, this is a band worthy of including in the same sentence as Yes and Glass Hammer. If you're a fan of those bands, then Anima Mundi come highly recommended. Come to think of it, if Yes' "Heaven and Earth" had been more like this then it likely wouldn't have been slagged so badly.